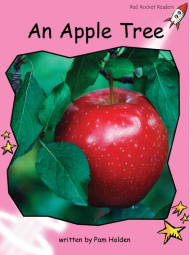 An apple tree grows delicious apples for us. Trees need water and sunshine to grow. Have you ever picked apples from a tree? Yum!